Traumatic injuries that happen to the mouth involve chipped, broken, dislodged or knocked-out teeth. Usually, these dental injuries are usually a result of an accident or sports injury. Even if a traumatic injury seems mild, it is still important to schedule an exam immediately. 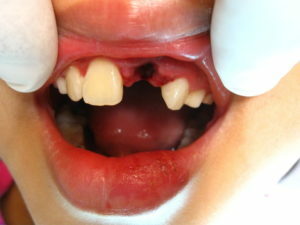 We can screen for if the traumatic injury damaged the surrounding teeth, nerves or other parts of the mouth. We consider it a traumatic injury if you have dislodged or knocked out your tooth. Getting a tooth knocked out is a traumatic injury.